Our Velocity Growth Hub for businesses in the South East Midlands is now taking shape and will act as single point of contact and support for our 141,000 companies when it goes live this March. The online portal, made possible thanks to a £1million grant from the Government’s Regional Growth Fund, is being set up to enable businesses to maximise their growth potential. The growth hub, also funded by SEMLEP from its Growing Places Fund, will attract over £2million of private sector investment and aim to engage with around 15,000 businesses by June 2015. It will also seek to support the creation and safeguarding of a minimum of over 300 jobs among small to medium sized enterprises in the South East Midlands during this period. SEMLEP Chief Executive Daniel Mouawad said: “Our Velocity Growth Hub will manage, roll-out and deliver successful programmes that create new jobs and catalyse business growth across the South East Midlands. It will support entrepreneurship and growth with targeted support and will be open to all businesses across our geography.  Velocity Growth Hub has been created in line with SEMLEP’s Business Plan and our role to ‘create the right environment for businesses and social enterprises to grow’.